It’s been six years since Bogley’s Chevrolet closed in Thurmont. 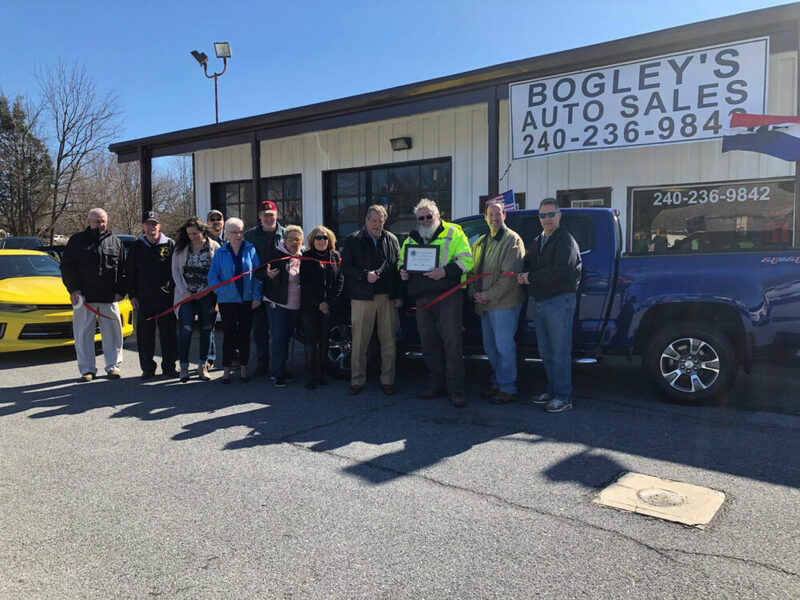 Last month, Gene Bogley came out of retirement and opened Bogley’s Auto Sales of Thurmont at 906 East Main Street. Bogley is a familiar automotive name in Thurmont. Bogley’s Chevrolet was on Frederick Road from 1981 to 2013. After selling cars for thirty-three years in Thurmont, sales was in his blood, and Bogley wasn’t enjoying retirement as much as some people. “I traveled some, but unless you play golf a lot and have a lot of hobbies, you get bored,” said Bogley. He wasn’t the only one missing his former dealership. He was hearing often from former customers, expressing that they hadn’t bought a car since his dealership had closed because new cars were just too expensive. According to Bogley, the average cost of a new car is now over $40,000. He decided to open a new automotive lot and focus on selling quality, low-mileage cars. The new dealership is a small lot with forty vehicles that Bogley has purchased primarily from other dealer contacts that he has developed over the years. “Every car I have out here, I hand-picked,” Bogley said. He is proud that every car also has a clean Carfax and required less than $200 to pass inspection. Bogley’s employees are part-time workers and most of them are like Bogley, retired but still wanting to work. “You won’t believe how different your outlook is on life when you have something to do,” Bogley said. Bogley said he wants his new dealership to have the same reputation that Bogley’s Chevrolet had. He wants to be known for giving people good deals. Already, many of his former customers have been stopping by to see what he has for sale. “If you treat people right and give honest deals, people will come back to you and tell others about you,” stated Bogley. Buyers can also get financing and extended warranties through Bogley’s. Bogley’s Auto Sales is open Monday through Thursday, 10:00 a.m.-7:00 p.m.; Friday, 10:00 a.m.-5:00 p.m.; and Saturday, 10:00 a.m.-4:00 p.m.
Gene Bogley stands in front of his new used car dealership on East Main Street in Thurmont. Photo by James Rada, Jr.